Discovery Notes The Soil was found in a location with dense pine tree population. The ground was flat with little to no inclination. The soil is damp with saturation from water. The temperature was 27°C at time of collection. The soil sample was collected near roots and veins of the tree. The soil sample was collected approximately 2 cm under ground level. The soil was littered with other organic materials. The date of collection was 8/22. Naming Notes In the Celtic mythology, the goddess of trees and knowledge is Druantia. As the sample was originally discovered in the forest and the exploration to gain knowledge was the driving force of SEA-PHAGES, the name seemed fitting. Plaque Notes The plaques were turbid and the perimeter of the plaque looked consistent the other plaques. Some of the plaques were bigger than others, which initially indicated the presence of multiple phage. 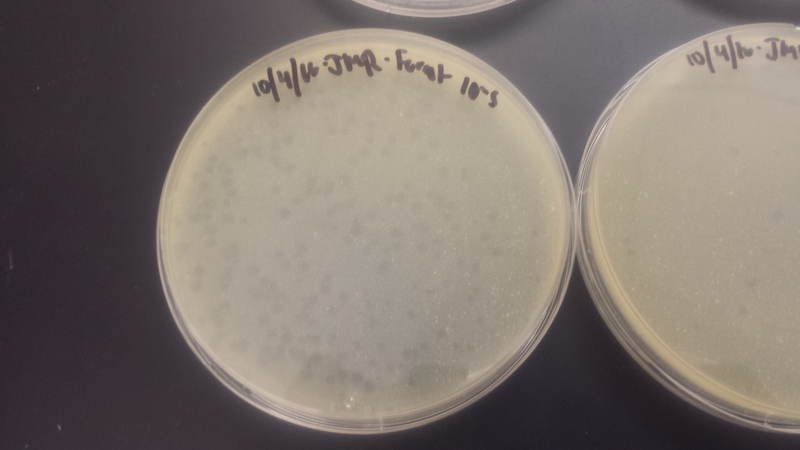 However, after several repeated isolations, the same dissimilar sizes appeared, which lead to the hypothesis that this specific phage is density dependent. The diameter of the plaques ranged from 3mm to 4mm.